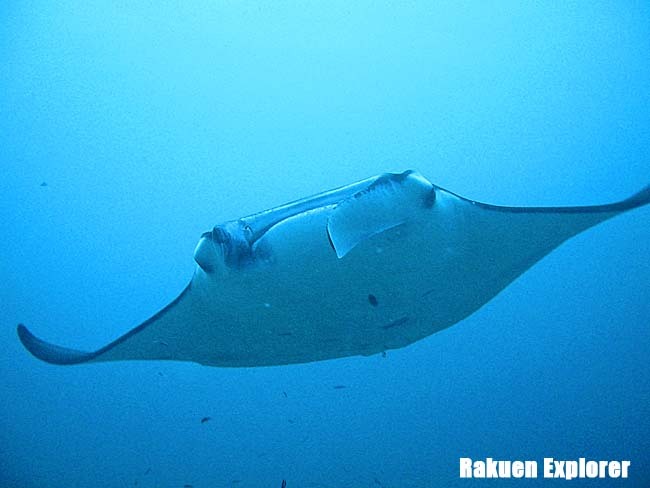 We had scuba diving twice at Fukurudhoo Faru, so called Manta Point while staying at Mirihi. Both of the diving were fabulous! Several Manta Rays ware able to be found at cleaning station for more than 15 minutes each. This Manta Ray has 4m width of wings.